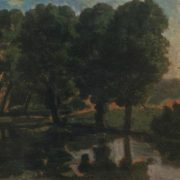 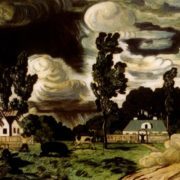 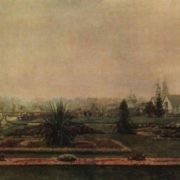 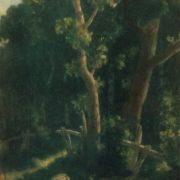 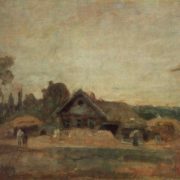 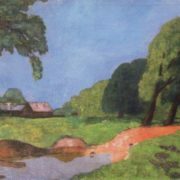 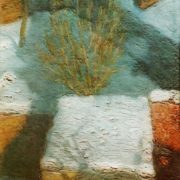 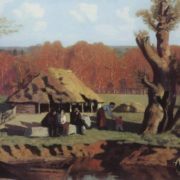 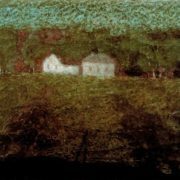 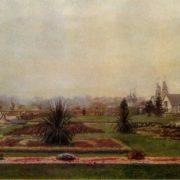 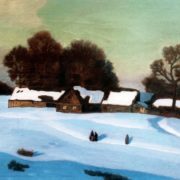 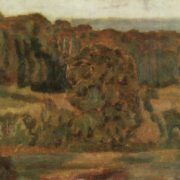 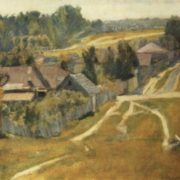 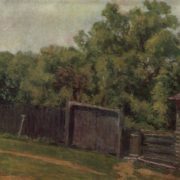 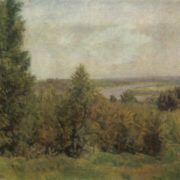 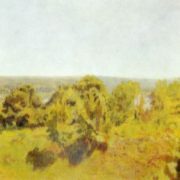 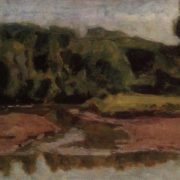 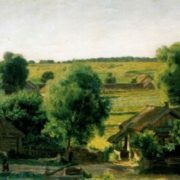 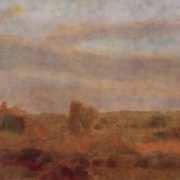 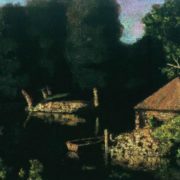 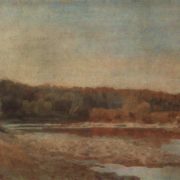 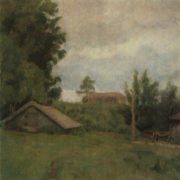 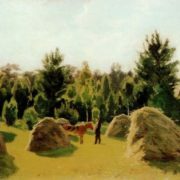 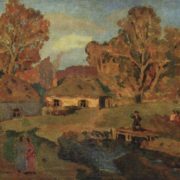 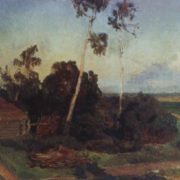 Idealization of the landscape is an indispensable feature of Nikolai Krymov’s paintings. 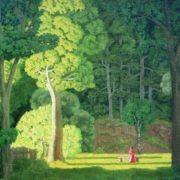 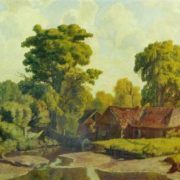 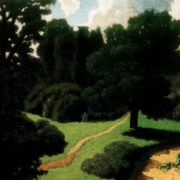 Trees, flowers, curves of the road, the clear blue of the sky – everything the artist designed for admiration, quiet contemplation, everything tends to the embodiment of a dream. 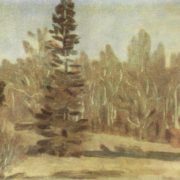 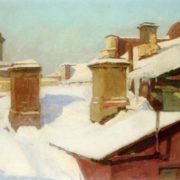 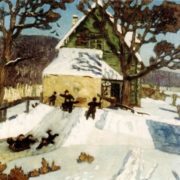 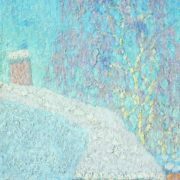 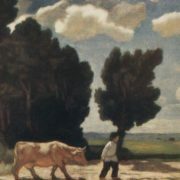 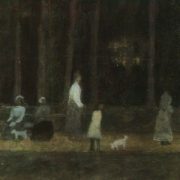 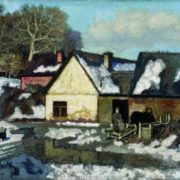 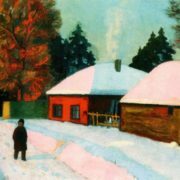 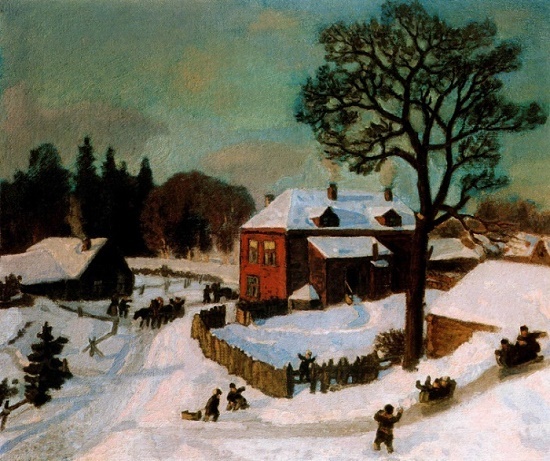 Born in Moscow in the family of the artist PA Krymov, who wrote in the manner of the “Wanderers”, Nikolai Krymov got his initial training from his father. 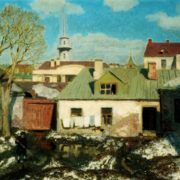 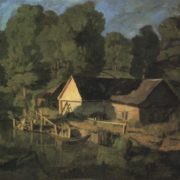 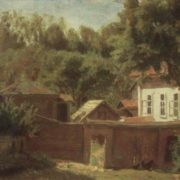 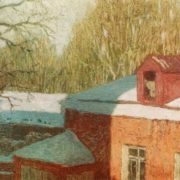 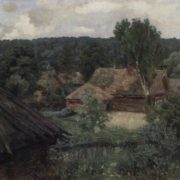 In 1904 he entered the Moscow School of Painting, Sculpture and Architecture, where he first studied in the architectural department, and in 1907-1911 – in the landscape studio of Apollinary Vasnetsov. 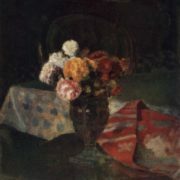 Member of associations: “Blue Rose” and “Union of Russian Artists”. 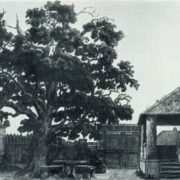 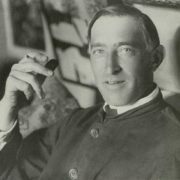 He made a significant contribution to the scenography, having decorated several performances at the Moscow Art Theater. 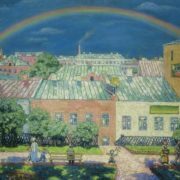 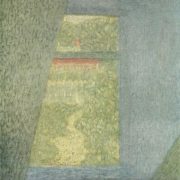 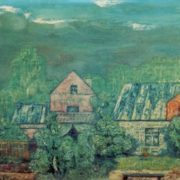 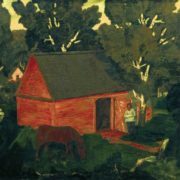 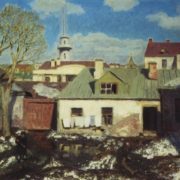 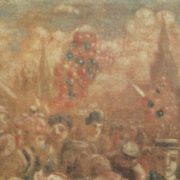 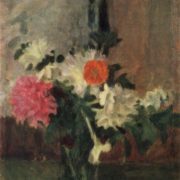 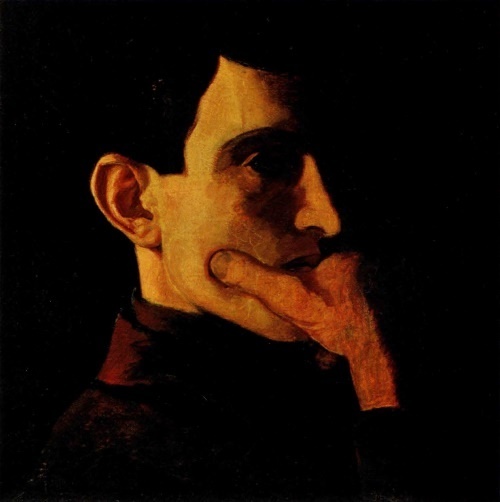 In 1919-1930 he worked as a teacher – in the Prechisten practical institute, the Higher Art and Technical Workshops and the Moscow Regional Art College in memory of 1905. 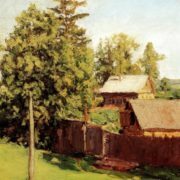 Krymov’s pupils were: SP Viktorov, Yu. 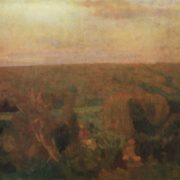 P. Kugach, F. P. Reshetnikov, and NK Solomin. 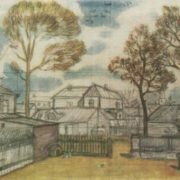 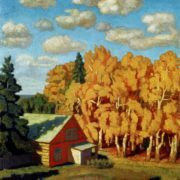 He was awarded the title of Honored Artist of the RSFSR in 1942 and People’s Artist of the RSFSR in 1956. 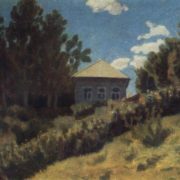 In 1949 he became a corresponding member of the Academy of Arts of the USSR. 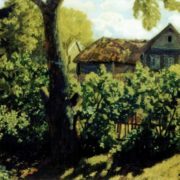 Died in Moscow on May 6, 1958. 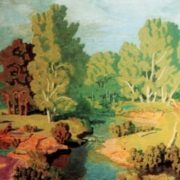 “It is necessary not only to love nature, but also to be able to transfer this love to the canvas where you need to sensitively guess both the size of the picturesque spot and all the subtlety of the picturesque relationships in nature and the feeling of its beauty”. 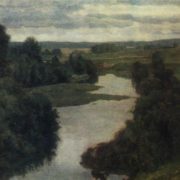 Krymov N.P.